Melonie Butler, Founder of I Choose To Win, launched her life mission: I Choose to Win, a 501 (c) (3) nonprofit organization committed to helping women of all ages live victoriously, aka winning. We help women identify and develop strategies to overcome personal obstacles with the hopes they will courageously believe in and embark upon a life fulfilling their purpose, pursuing their passion, unleasing their power and unlocking their potential - again! /win-ning/ verb. - Living out the boldness, braveness and brilliance you naturally possess when unleashing your God-given gifts to impact the world. Now in our third year, I Choose To Win has reached more than 5,000 individuals with its motivational and inspirational workshops and messaging, implemented a few campaigns that cause women to see themselves as ‘winners,’ and published several magazines and videos encouraging women to learn from the stories of women who have gone before them. A heavy emphasis is placed on positive messaging and vibrant imagery to celebrate diverse goals, styles and perspectives. It is my hope to see more women igniting the passions that live within, pursuing paths uniquely theirs, intentional about their contributions in this world and unapologetic about who they are in Christ. Simply put, I want to see more women on-fire for God's glory. Ours is a program that is love-centered: Love God completely, Love Yourself correctly and Love others compassionately. All winning we promote is rooted in love. View images of our program activities. - Be Bold, Be Brave, Be Brilliant! - In life, I Choose To Win! We promote online connectivity (inspiration, connection and mentorship) for offline action, which is required for winning to ensue. Your gift supports the launch of our Empowered Uth and Explore U programming. Additionally, ongoing development and maintenance of our website, magazine production, social media campaigns, face-to-face workshops and 3-day "Winning Weekend" retreats where the 'I Choose To Win' program seeks to edify, empower and equip women on their journey to win. Thank you for supporting our mission. In life, choose to win! For every donation over $50 or upon request, we will provide a tax-donation letter via email for your records. 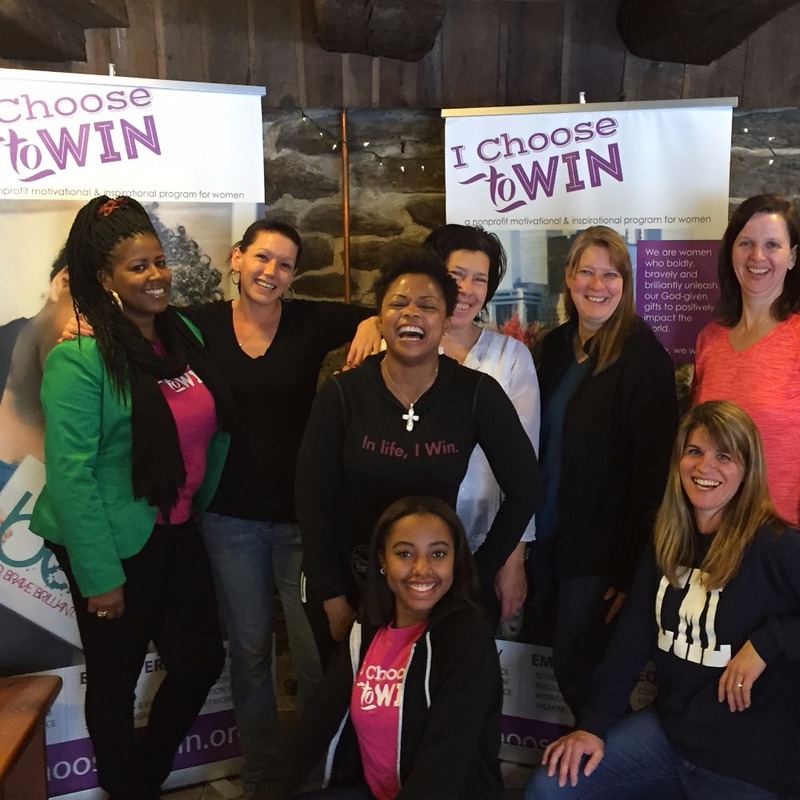 I Choose To Win is an organization that is changing the lives of it's participants. I really enjoy attending the events!!! !